Hello Doodlebugs! 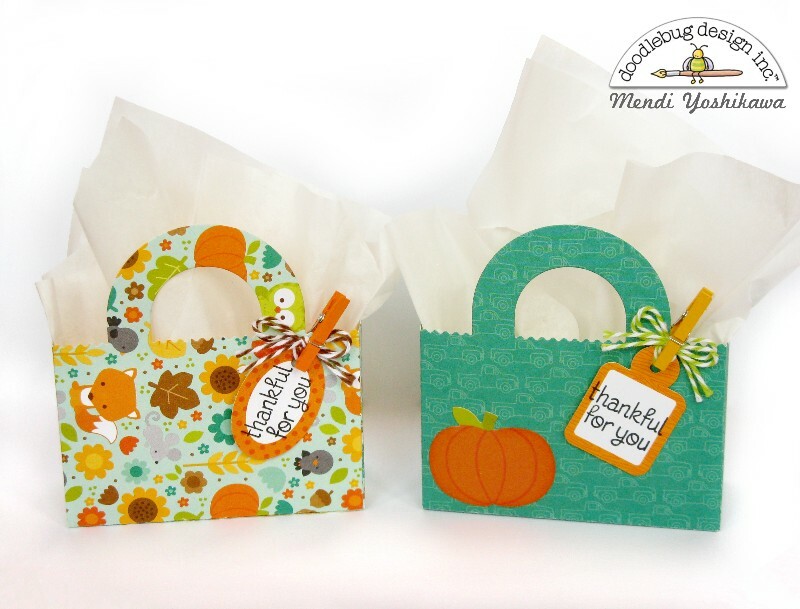 It's Mendi here today with a quick and easy project using the darling Flea Market collection from last fall. I designed these sweet treat bags so that I could have one at each place setting to dress up our Thanksgiving table and let my family know how much they mean to me. To keep thing from being too busy, I chose prints that had a good solid tone-on-tone print on one of the sides. I alternated which type of print I put on the outside and which faced inward and then set to work cutting them out using Lawn Fawn's Tote Bag die. For the bags that were more solid outside, I dressed them up with some icon stickers from the collection. To reinforce my thankful theme, I stamped the 'thankful for you' phrase using some stamps from my stash onto tags from Doodlebug's labels and tags pack. I then tied a bow through the top of the tags with baker's twine and adhered them to my treat bags with some mini clothespins to match. What a cute way to dress up your Thanksgiving table!! LOVE! Simply adorable! I have a question... is it possible to have all your beatiful paper for digital download? I live in Italy and I can't find them... Thank you! These are just simply adorable!! 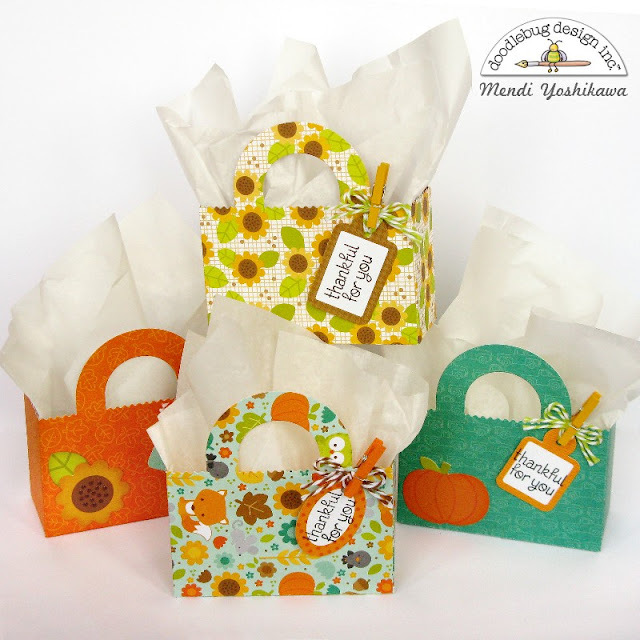 How adorable are these treat bags ! !